This spring, give your kitchen the spruce-up it deserves with the latest haul of kitchen essentials and accessories from Cuisinart. The winning combination of retro design with state-of-the-art technology have made Cuisinart a mainstay of domestic and professional kitchens for years. Electrically powered, they'll fit snugly into any culinary temple, big or small. Steam, fry and bake your way to perfection with the following kitchen gadgets, designed with the consumer in mind. 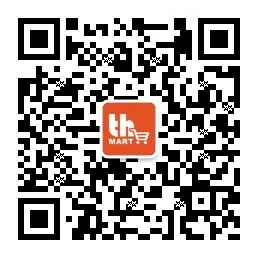 All of these items are conveniently available for delivery across China right now via thMart! Step up your breakfast game with this premium waffle maker. Simply pour in the batter and the machine does the rest of the work, leaving you with perfectly baked round waffles to enjoy with generous helpings of your favorite toppings. Five different browning settings let you enjoy the waffle to your exact preference, so you can start your day on the right note. Take the effort out of remaining healthy with this electric steamer that heats up water in no time. Its pre-programmed food settings mean you don't even need to worry about timers; this appliance deals with all the drudgery for you. Just fill the water tank, choose your produce and select the right settings for a lean and healthy meal to keep your family on-track to fitness. Now you don't have an excuse to skip your five-a-day. If you're not familiar with steam ovens, the technology works a bit like this: the presence of steam in the oven prevents meat from drying out and allows you to "slow-cook" dishes in just a fraction of the usual time. Steam ovens are used by many top chefs due to their ability to shred cooking time while ensuring that dishes retain moisture, but this one is designed to fit even inside the humblest of kitchens. Furthermore, its impressive multifunctionality will virtually remove the need to ever boil water or preheat an oven again. It can steam vegetables, dim sum, and even bake perfectly proven bread without any difficulties. These colorful '60s-inspired mixers will make baking bread and cakes a whirl. The powerful 500-watt motor means it could practically mix concrete, but it would do so in a way that would make it the lightest and fluffiest of building materials to ever grace the world of architecture. Think of the soft curves of a Zaha Hadid building, almost gravity-defying in its structural floatiness. That kind of concrete. This mixer here will let you showcase your own kitchen masterpieces, right in your own home! Cusinart's Compact Portable Blending/Chopping System was designed to do it all. Not only can you make delicious smoothies in a flash, you can mix craft beverages and even mince herbs with the help of a 350-watt motor. This unique system comes with a blender jar, chopping cup, and four portable travel cups, along with two interchangeable blade assemblies.